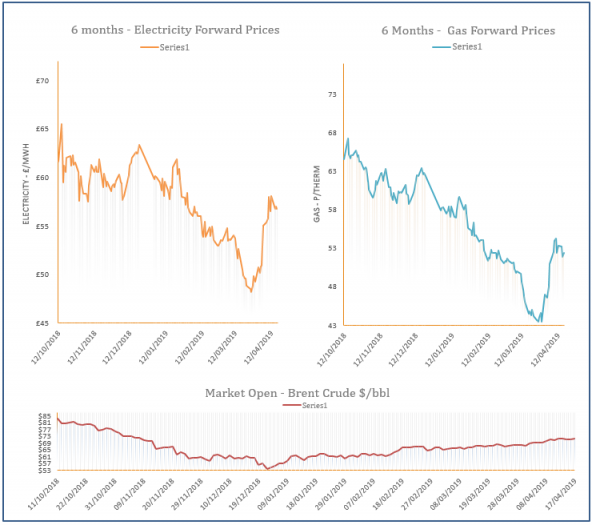 Increases on coal, carbon, oil and power markets resulted in gains on the gas curve yesterday, with traders indulging in profit taking ahead of the Easter break. Meanwhile, a short system offered additional support to prompt, as a drop in supply outweighed the fall in demand. Gas prices displayed losses at the start of Tuesday’s session but recovered slightly in the afternoon, ending the day almost unchanged. Movement on commodity markets was also minimal, while the supply/ demand outlook remained the same. 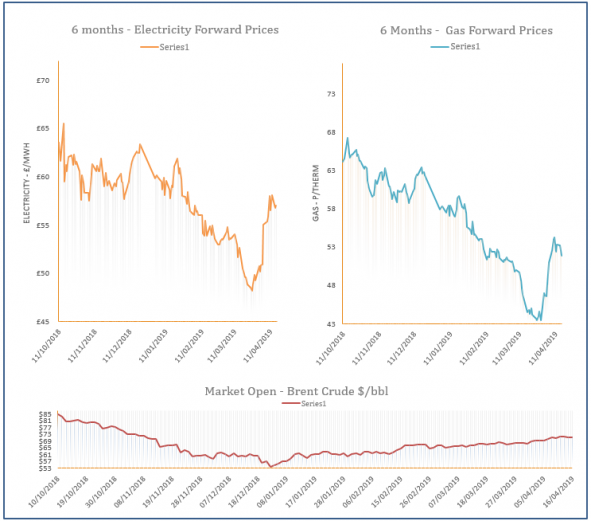 Gas prices traded down on Monday as normal temperatures and a rise in wind generation reduced demand, with the upcoming Easter weekend also set to cause an extended drop in industrial demand. 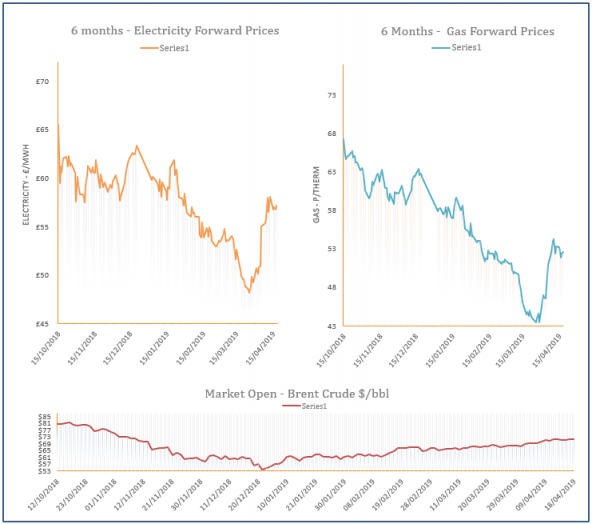 Oil and coal prices also decreased, providing additional bearish pressure further along the curve. Gas prices moved down by Friday’s close, ending a week that showed no clear trend. 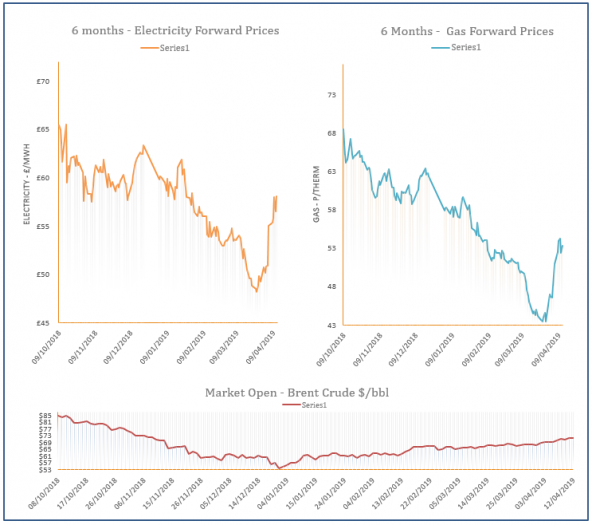 Early morning support was provided by a rise in oil, power and carbon prices, while short term fundamentals pointed towards a weaker demand outlook for this week, weighing on the near-curve. Gas prices decreased on Thursday with direction coming from a fall in coal and oil markets. The system was slightly oversupplied but downward pressure at the front of the curve was provided by a milder and windier weather outlook.